GorillaStack: what next for cloud migration? 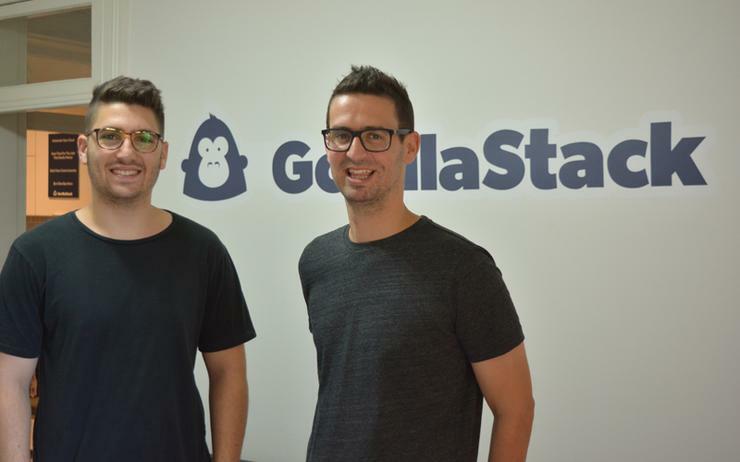 As the adoption of cloud infrastructure services continues to increase across the globe, security is going to play a bigger role in end-users’ demands in 2019, the co-founder of GorillaStack has predicted. Oliver Berger has said partners will be increasingly called on to ensure organisations are secure “from day one” as they help customers migrate from their data centres. Speaking to ARN, Berger said until recently customers had largely been focused on simply using the cloud for cost-optimisation, but that priorities were now shifting. “What we’re seeing more and more is that security can be a limitation when big organisations want to migrate from their data centres into the cloud," he said. "There are plenty of drivers that bring people to the cloud, but lately, we’re seeing security increased compared to cost-optimisation. “Now we’re expecting to be called in by partners and organisations for the migration phase so that [customers] are well-optimised from a security perspective from day one, rather than hitting a problem later down the line. "What we’re always thinking about in an organisation is what’s going to get you noticed and what’s not going get you fired. If you’re not secure, you’re going to get fired; if you’re optimising your costs, you’re going to get a pat on the back." According to a recent report by Synergy Research, the adoption of cloud in 2018 “compared favourably” with growth rates achieved throughout 2017, despite a slowdown in the third quarter. Berger himself is optimistic about next year’s growth, saying there is still a “massive amount of migration to go” in Australia, and no doubt further afield. However, he argued there was a need for “better-educated” partners who can “creatively implement solutions rather than building things from scratch that already exist”. Predicting where customers’ investments will fall next year, he said the demand for artificial intelligence and machine learning-as-a-service will be one of the main growth-drivers. “Five years ago, it would have been a lot of work for a customer to create a machine learning algorithm,” he said. “Now they are able to leverage the cloud providers’ own machine learning technology for a few dollars per hour. GorillaStack, which recently won the award for Start-up of the Year at the ARN Innovation Awards, was originally co-founded by Berger alongside Elliott Spira in 2015 with the intention of helping firms manage their Amazon Web Services (AWS) clouds, including its usage and costs. Recently, the company changed its focus to giving businesses “more building blocks” that would allow them to make their own changes to their cloud infrastructure rather than simply relying on outside help. “Now [customers] can make a change, such as scaling down under-used resources,” Berger said. "It’s about allowing that freedom. "From a partner perspective, the customers want good results quickly and our partners and MSPs can deliver much more exciting outcomes by leveraging other parts of the cloud." However, he added, partners themselves still have more work to do when it comes to educating end-users about the cloud’s potential. Although partners “have a lot of tools at their fingertips” to inform users, he said he was still surprised at customers' “blank faces” when it came to other ways of using the technology.